Cute little Animal! March 19, 2008 update! A sidebar from Life’s Routines! December 6, 2007 at 8:25 am	· Filed under Animal Interest--CUTE PHOTOS JUST FOR FUN!, LOVE AND CUTENESS! and tagged: lol catz I can haz Cheeze burger!---enviornment---Globa, LOVE AND CUTENESS! 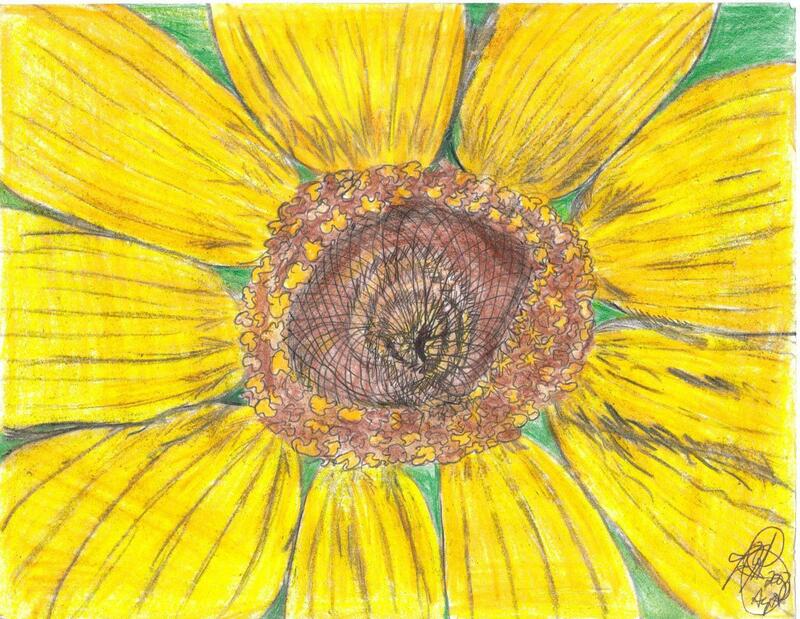 I color pencil drew this SUN FLOWER and I just wanted to give it to my little friend right below! He, she or it —is so cute! Daily Bonuf Lol* Make ur own lolz and share them. I found another adorable picture at LOL CATS! I generally do not like creepy crawly little things…but this one is so cute….I could have him has a little pet. You know like a flea circus! I would make him/her his own little house or residence thingy! So cute this is! Take a look! The caption actually states….OH HI!!! sew u can haz a place 2 snooz. ill sav u frum da ebil water! HEY!!! U kids turn dat music down!! can u shar sum of ur toyz wif me? Love is special isn’t it? I wish people could see what these animals see in each other….. Thanks LOL CATS…AND I GUESS…LOLOL GOATS? !